For fresh groceries, a customized KOOZIE® kooler! 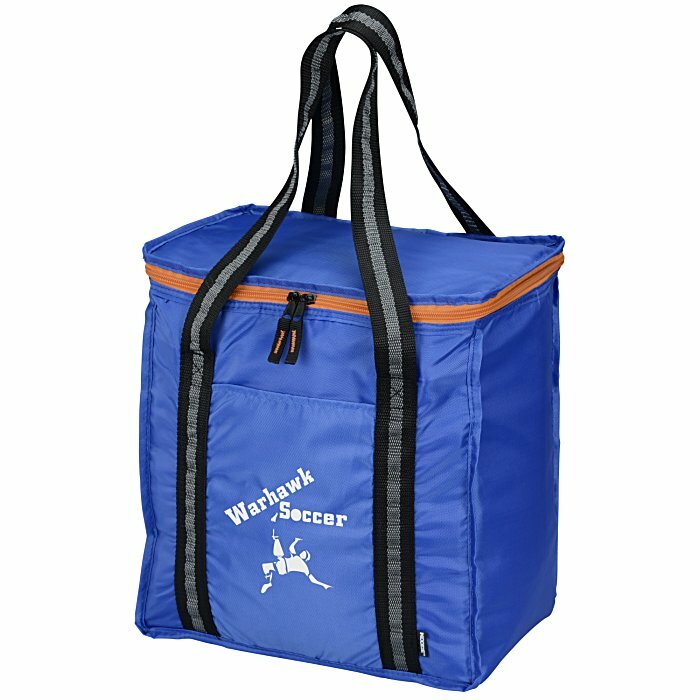 KOOZIE® helps you keep groceries chilled with this rectangular cooler. Easily carry your purchases with the two striped handles. Keep your wallet, cell phone and keys in the front slip pocket. Made of 420D polyester and heat-sealed PEVA lining, this is a durable little cooler tote you can count on. Size: 13" x 12" x 7". Your price includes a one-color imprint on the front pocket. * Excludes art preparation time, applies only to orders of 150 items or fewer.